Buy R4, R4i gold 3ds, Wood R4 flashcard, Dstwo, Ace3ds plus, R4i sdhc 3ds RTS, Acekard2i, EZflash Omega, Xecuter SX Pro or OS, iPhone case from USA official reseller with low price. [2018-5-28] Digitopz is the official seller of Xecuter SX. Xecuter SX Pro and SX OS are in stock now. [2018-12-04] Nintendo 3DS firmware v11.9.0-42 released, r4i gold 3DS ,ACE3DS PLUS, R4i-SDHC 3DS RTS, R4i gold pro , R4i shdc dual core ,R4i sdhc sliver card Sky3DS can directly support the newest 3DS v11.9.0-42, without any patch updating needed! [2015-6-1] All Sky3DS we sent from now on is NEW SKY3DS( (no game limit), can play 3ds roms games on all 3DS console version include the latest 3DS v9.8.0-25E/J/U. 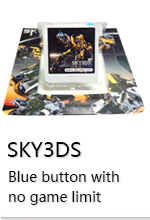 [2015-4-21] All Sky3DS we sent from now on is NEW SKY3DS( (no game limit), can play 3ds roms games on all 3DS console version include the latest 3DS v9.7.0-25E/J/U. [2015-3-24] Nintendo 3DS firmware V9.6.0-24 released, r4i gold 3DS , DStwo , ACE3DS PLUS, R4i-SDHC 3DS RTS, R4i gold pro , R4i shdc dual core ,R4i sdhc sliver card Sky3DS can directly supports the newest 3DS V9.6.0-24 , without any patch updating needed! [2015-2-3] Nintendo 3DS firmware V9.5.0-22 released, r4i gold 3DS , DStwo , ACE3DS PLUS, R4i-SDHC 3DS RTS, R4i gold pro , R4i shdc dual core ,R4i sdhc sliver card Sky3DS can directly supports the newest 3DS V9.5.0-22, without any patch updating needed! [2015-1-9] Gateway 3ds ULTRA 3.0- PUBLIC BETA released, support ALL 3DS/2DS/3DS XLfrom 4.5 up to 9.2! [2014-12-11] Nintendo 3DS firmware V9.4.0-21 released, r4i gold 3DS , DStwo , ACE3DS PLUS, R4i-SDHC 3DS RTS, R4i gold pro , R4i shdc dual core ,R4i sdhc sliver card Sky3DS can directly supports the newest 3DS V9.4.0-21, without any patch updating needed! [2014-12-8] Nintendo 3DS firmware V9.3.0-21 released, r4i gold 3DS , DStwo , ACE3DS PLUS, R4i-SDHC 3DS RTS, R4i gold pro , R4i shdc dual core ,R4i sdhc sliver card Sky3DS can directly supports the newest 3DS V9.3.0-21, without any patch updating needed! [2014-10-30] Nintendo 3DS firmware V9.2.0-20 released, r4i gold 3DS , DStwo , ACE3DS PLUS, R4i-SDHC 3DS RTS, R4i gold pro , R4i shdc dual core ,R4i sdhc sliver card can directly supports the newest 3DS V9.2.0-20, without any patch updating needed! [2014-09-10] Cobra ODE DMC will be in stock by September 30th. [2014-10-9] MT card Software Ver2.1 released. 2.Support EXfat format MicroSD card, up to 128GB. 4.Enhance menu selection, ROMs display is more intuitive. [2014-07-25] Nintendo 3DS firmware V8.1.0-18 released, r4i gold 3DS , DStwo , ACE3DS PLUS, R4i-SDHC 3DS RTS, R4i gold pro , R4i shdc dual core ,R4i sdhc sliver card can directly supports the newest 3DS V8.1.0-18, without any patch updating needed ! [2014-07-15]R4i gold 3DS Deluxe Edition Support to play 3ds multrom. 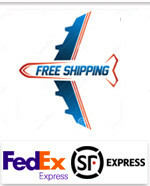 All Items are fee shipping to all all over the world! Delivery usually takes anywhere from 7-12 business days under normal circumstances. All flashcarts are in Stock, 100% Tested, 100% Work Fine and 3 months Quality Warranty! Choose your flashcart Now! [2014-01-06 ] Good News ! if you choosed kingston 2GB SD card, we can send you 4G Kingston SD card to you. Just for kingston 2GB. [2014-04-02] PS3 cobra ode is in stock now,welcome to place order. [2014-01-23] Latest news ! 3DS game supported flashcardsMT-card , r4i gold 3DS delux edition , Gateway 3DS, . [2014-03-20] ZoAo Comera smartphone will be in stock in MAY. For Xbox One, Playstation 3, Xbox 360 and Windows PC. Popular iPhone5 cases are availalbe on Digitopz. Cute M&M Rainbow bean chocolate Silicone Case cover for iPhone4/4S/5/5S. R-SIM9 pro For iphone4S/5/5C/5S iOS:7.0-7.X. RamMore Space Pack for iPad Mini. [2013-4-10] All flashcards has stopped kernel and games preloading service on 10th,Apri 2013. [2013-12-10 ] 3DS Game supported cards : r4i gold 3DS delux edition , Gateway 3DS , MT-card . [2013-09-05] PS3 cobra ode ,E3 ode pro is in stock at the moment,welcome to place order.